Cindy has over 20 years of human resources and labor relations experience, including having had the direct responsibility to administer over 20 labor contracts involving 17,000 State employees, teachers, administrators and support staff. 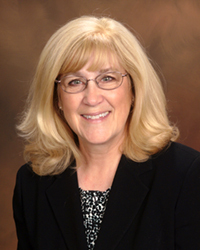 Prior to ADK, Cindy was the Director of Human Resources for the Reno-Tahoe Airport Authority (RTAA) for 6 years. Before RTAA, she was Director of Human Resources for the Alaska Court System, Contract Administrator for the Anchorage School District, Labor Relations Analyst for the State of Alaska, Department of Administration, Division of Labor Relations. Cindy has a Bachelor’s Degree from San José State, and her SPHR designation from the Society of Human Resources Management. She was awarded the Reno-Tahoe Airport Authority 2010 Women of Achievement designation. Cindy grew up all over the world as her father was in the service. She continued moving as an adult until she moved to Alaska where she stayed for 26 years to raise her family. During that time she and her husband and family continued to travel the world visiting such remote places as Mauritius. She moved to Reno, Nevada to be near her family and her grown children who all settled on the west coast. Always an adventurer, Cindy spent 3 months in Abu Dhabi in 2013 after visiting Greece and Turkey. Exploring new cultures off the beaten path will always be one of her main interests and fascinations.